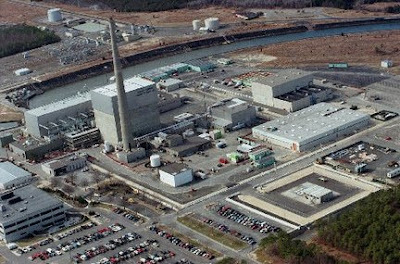 Anonymous sources have disclosed that Chicago-based Exelon Corporation has reach an agreement with New Jersey officials to close its Oyster Creek Nuclear Generating Station 10 year earlier than planned in exchange for not having to build expensive cooling towers. The facility is in the Forked River section of Lacey Township and is the nation's oldest nuclear power plant. The plant will now close in 2019 instead of 2029. The facility's current 'once-through' technology draws 1.4 billion gallons of water a day from Barnegat Bay and opponents of the plant use the charge that it is killing billions of aquatic creatures each year. This is a back door method to try to close the plant. Exelon estimates that it would cost $800 million to build the towers, which is more than the plant is worth.